The search for signs of life on Mars continues, partly motivated by the hope of secularists to justify their faith in molecules-to-Martian evolution and abiogenesis, and from there, deny the Creator. 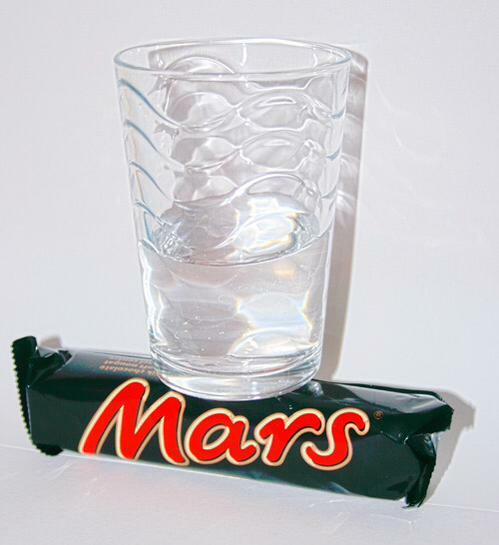 Before that, however, secularists desire to find water on Mars. It appears that water was indeed there in the past as the signs are quite distinct, though not all scientists are convinced. Some scientists are saying that billions of Darwin years ago, Mars was a mighty fine place that even had oceans. Conjectures and models about what happened in the unobserved past can be useful, but they need to deal with evidence. Questions are raised, such as how Mars got water in the first place, where it went, conditions that would allow such vast quantities of water, the "faint young sun paradox", and more. Interesting that these owlhoots are willing to consider huge amounts of water out yonder despite lack of evidence, but deny the abundant evidence of the global Genesis Flood right here on our turf that is mostly covered by water. 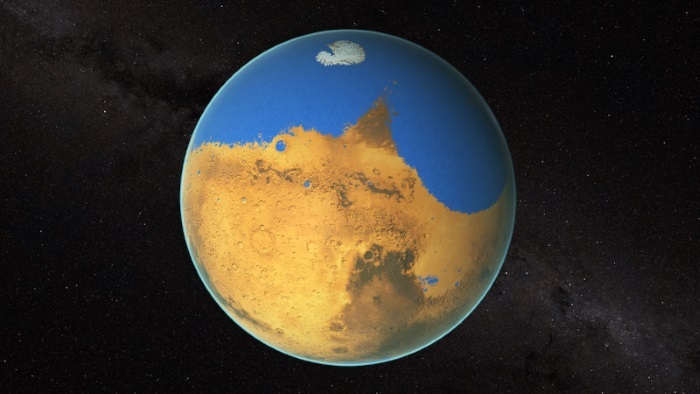 Mars has no liquid water today, but water must have covered much of the planet in the past. How? Nobody knows. Look at the diagram of Mars the way some secular planetary scientists believe it looked in ancient times (Phys.org). It’s almost covered with water. How could that be? There’s no liquid water there today, and Mars lacks the atmosphere that could keep it liquid. It’s also too cold for liquid water most of the time, although some may be locked up as ice in the polar caps. Scientists infer its presence by its effects. The surface of Mars today is covered with what look like drainage channels. A leading hypothesis is that liquid water carved them at some time in the unobservable past, perhaps about 3 billion years ago. 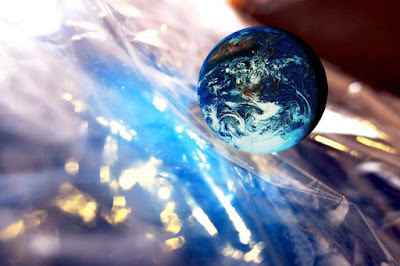 To finish reading, click on "Secularists Can Believe Mars Had a Global Flood". Below is a speculative video of conditions on Mars 4 billion imaginary years ago. Impressive animation!